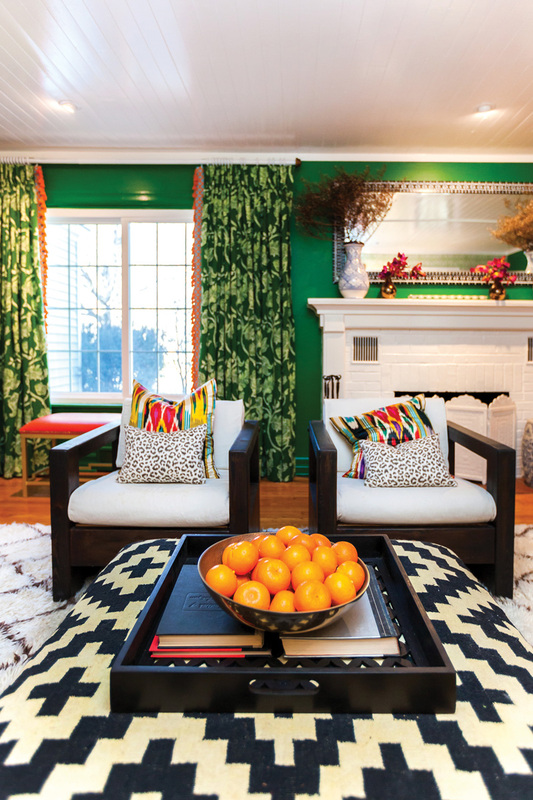 Living Room: Taylor suggested painting the living room walls Benjamin Moore Clover Green. "She had to talk me into it at first, but now I'm very happy with it," Debbie says. The wall behind the sofa is covered in a wallpaper with a pomegranate pattern, and a collection of artwork from flea markets, auctions, estate sales and Etsy provides a point of focus. "I love going to estate sales, auctions and flea markets," Sutliff says. And when she's not out shopping in person, she's often browsing online to find even more special pieces for the house—like the room's end tables and the console that sits under the television. "They're part of the Broyhill Brasilia collection," she says. "They're from 1962. I found them on Craigslist." 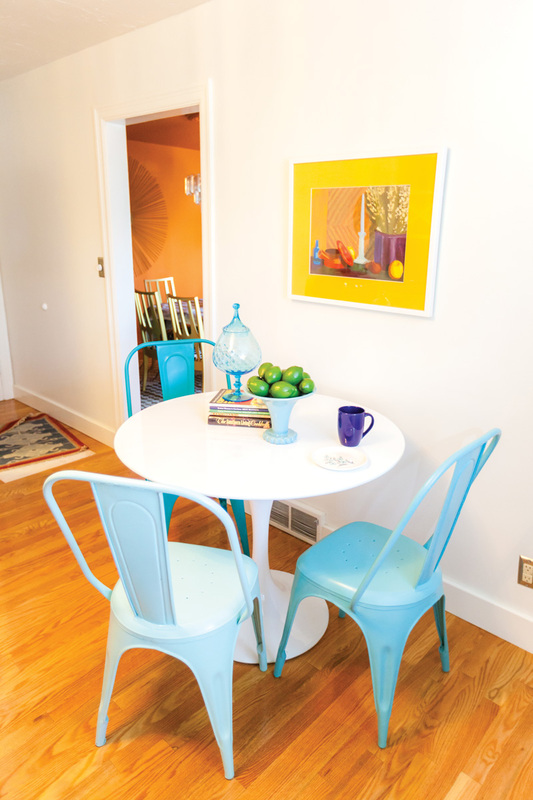 The dining room table and chairs are also a part of that collection, and each piece was refinished and painted to create a one-of-a-kind look. Debbie Sutliff is a longtime fan of Springfield’s University Heights neighborhood. “I fell in love with the area back when I went to school at SMSU,” she says. “Ever since I was first in college, I was always looking for an older home to buy.” As the years passed, she continued her search, eventually noticing her current two-bedroom, two-bathroom home when it went on the market. “I have been running through this neighborhood with a friend for several years and was always looking at the homes for sale,” Sutliff says. 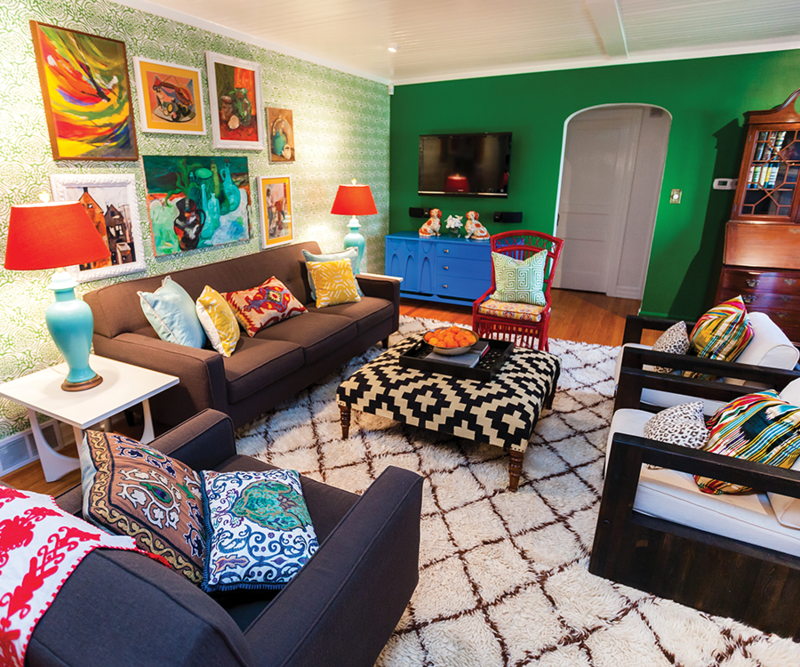 The facelift included working in several bold paint colors and even patterned wallpaper, both choices that Sutliff says she wasn’t immediately sold on during the decision-making process but has grown to truly love. 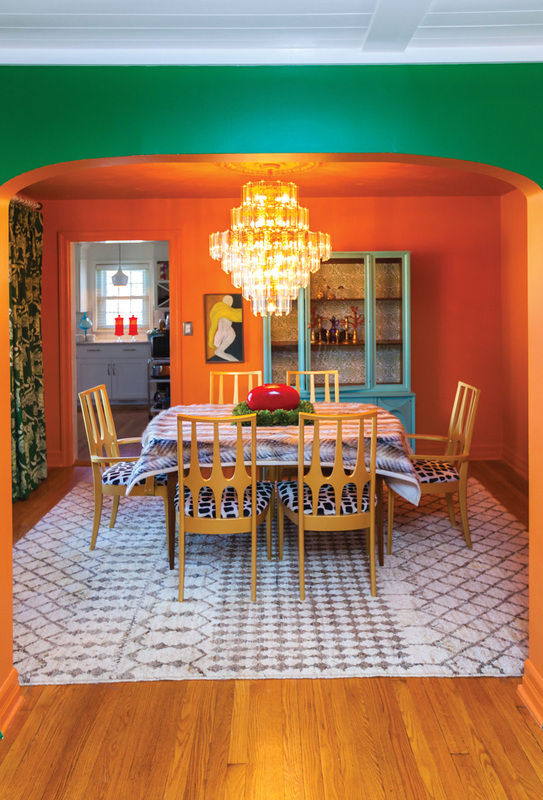 “It turned out really well,” she says of the home, which people often describe as “Mid-Century Bohemian.” But while each and every room is bursting with vibrant color, the exterior of the house is a little less flashy—Sutliff vetoed the idea of an orange door. 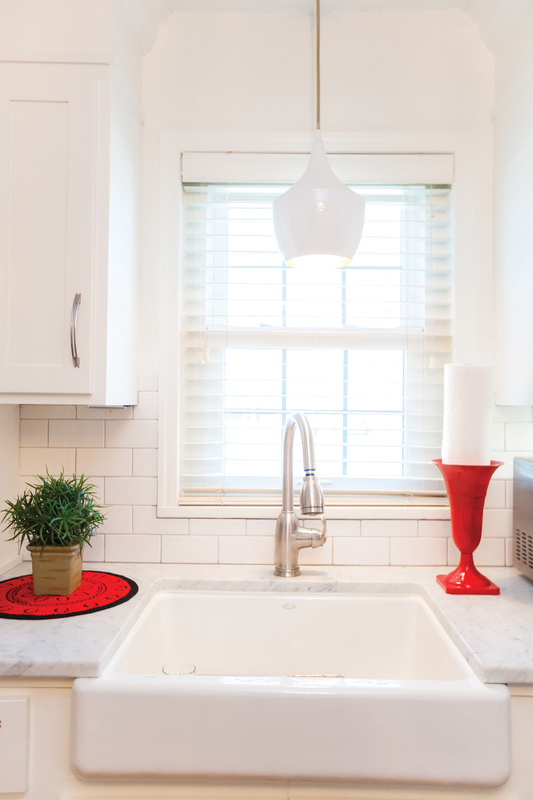 Instead, the exterior features light gray siding, dark gray shutters and a dark red door, making it right on par with the quaint, classic look that made Sutliff first fall in love with the University Heights neighborhood so many years ago. Kitchen: The kitchen is the only room in the house that was completely remodeled, and it’s the only room that features new flooring. 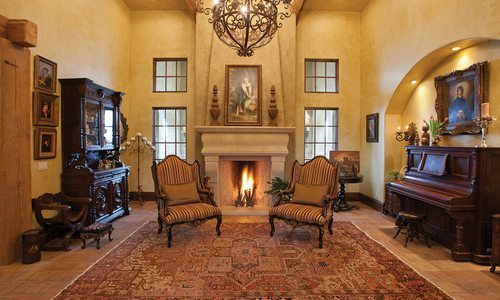 “I put wood flooring in here to match the rest of the house,” Debbie says. 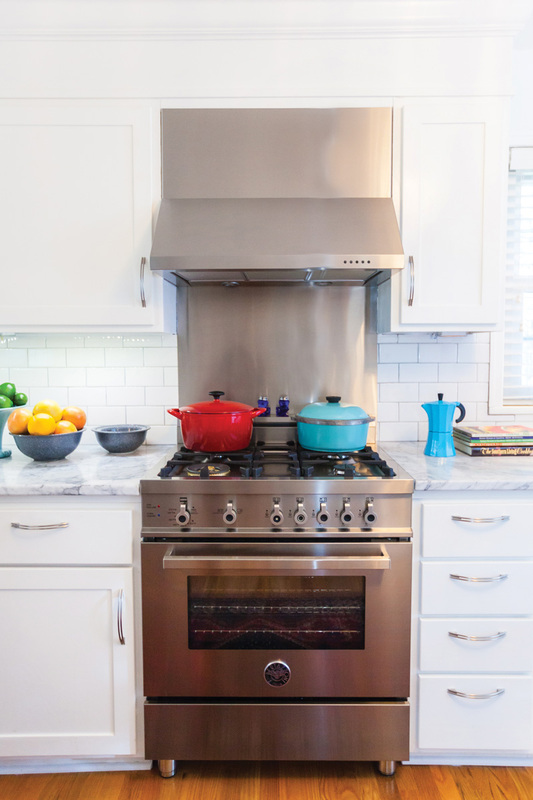 “When the crew was here installing it, they said they were here about 13 years before refinishing the floors in the rest of the house.” The room also features all new appliances and bright white cabinetry, and a small table sits where an old island used to be. 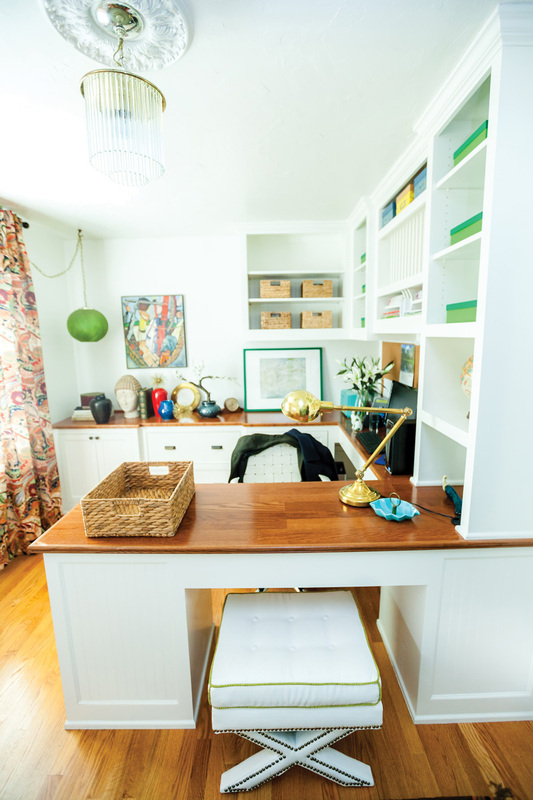 Open Office: The chandelier in the home’s office dates back to the 1930s. “This is another one of my Craigslist finds,” Debbie says. 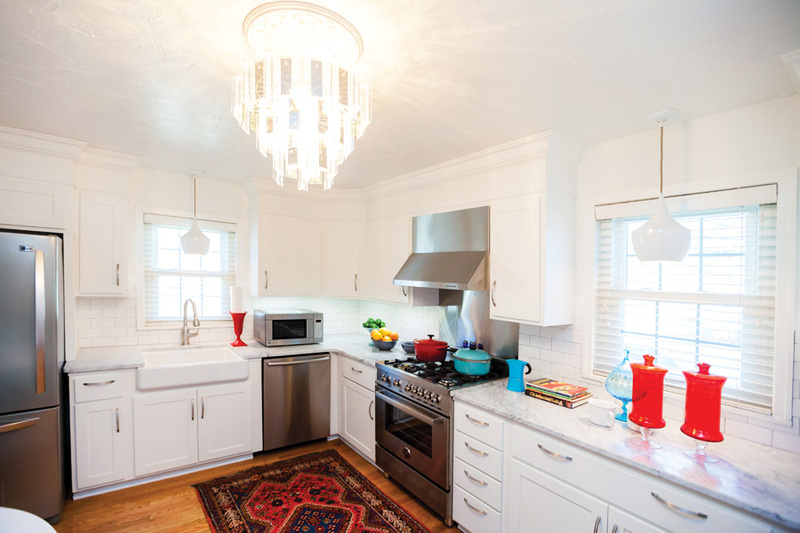 “It’s an art deco chandelier.” The office’s shelving was already in place when Debbie purchased the home, but it was painted a barn red color before the remodel. Green Scene: Debbie’s office sits off of the living room. 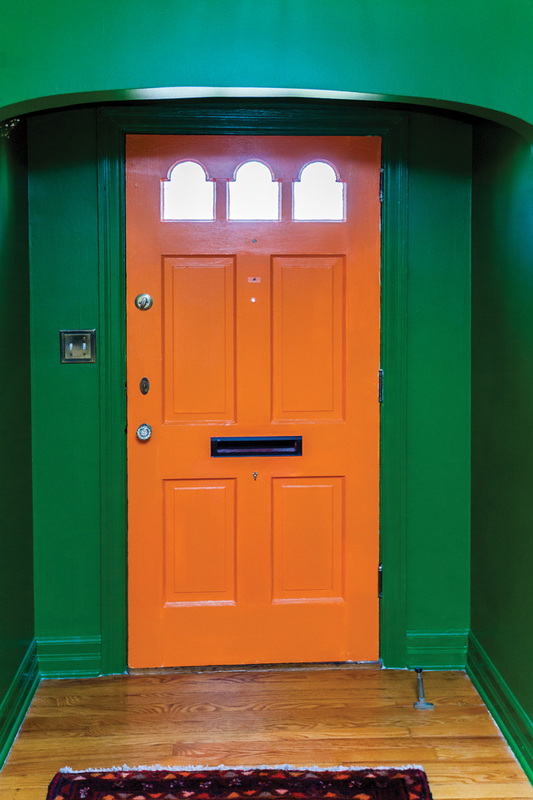 The doors that lead to the space are also painted clover green, and they’re offset with bright white trim. Street View: The large windows in the living room look to the street in front of the house, allowing Debbie a view of the charming University Heights neighborhood. The bright white fireplace stands out against the bold green walls, and the black-and-white patterned ottoman table—which Debbie purchased during the remodel—adds character to the space. Bright White: While the fireplace was already white, it was chipping and in need of repair, so they repainted it during the remodel. 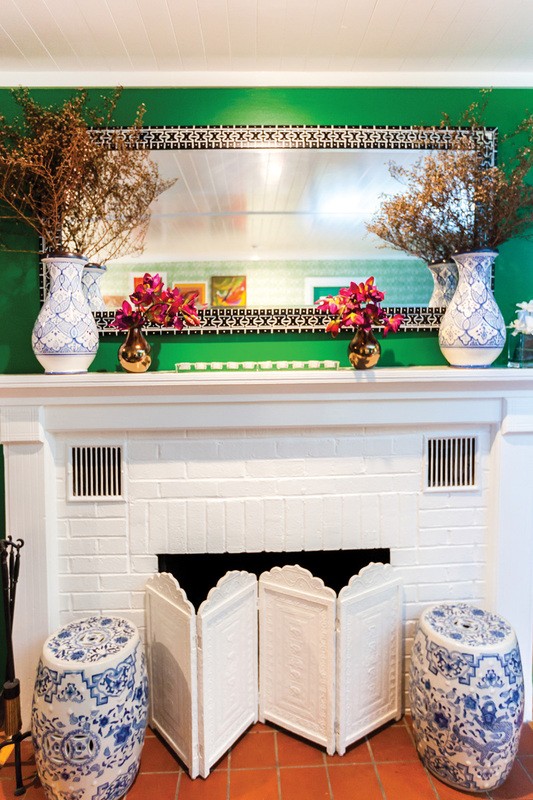 Ceramic garden stools add interest in front of the fireplace, and coordinating vases add life to the mantel. 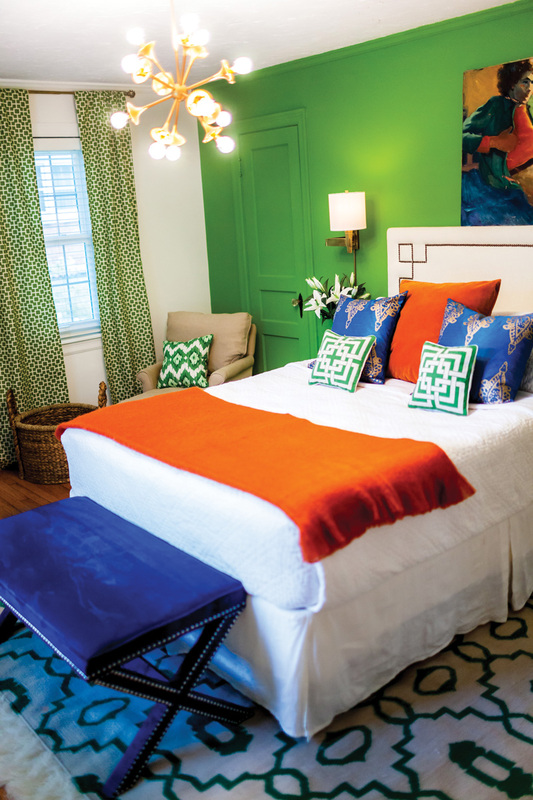 Beautiful Bedroom: After Debbie hired interior designer Sharon Taylor, they began working on the master bedroom. 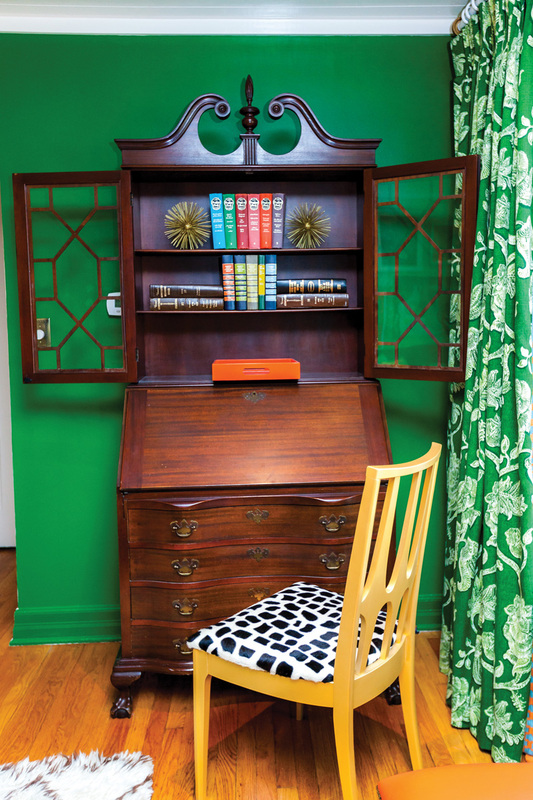 “It took a little convincing to use that bright green,” Debbie says. The wall lamps provide light for reading in bed, and the chair in the corner is a cozy spot that’s well used by one of Debbie’s dogs, Daisy. Family Heirloom: The cabinet that sits near the arched living room doorway originally belonged to Debbie’s grandmother. “My grandmother purchased it in the ’30s,” Debbie says. “She lived in West Virginia. It was then passed to my dad, but when he passed away, it came to me. Door of Possibilities: While Debbie was okay with painting the interior door orange, she chose to go with a classic red look for the exterior. 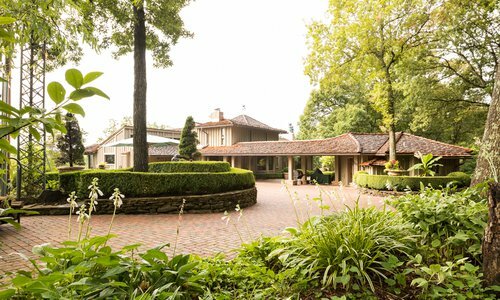 While the exterior isn’t quite as bold and bright as the interior, it fits in with the quaint charm of University Heights.